I am pleased to announce the 2017 Ann Arbor Jaycees Foundation grant recipients. SOS Community Services’ Food Program is located at 114 N. River Street in Ypsilanti, MI. SOS has been in existence since 1973 and the food program currently responds to over 3,200 requests for food annually. 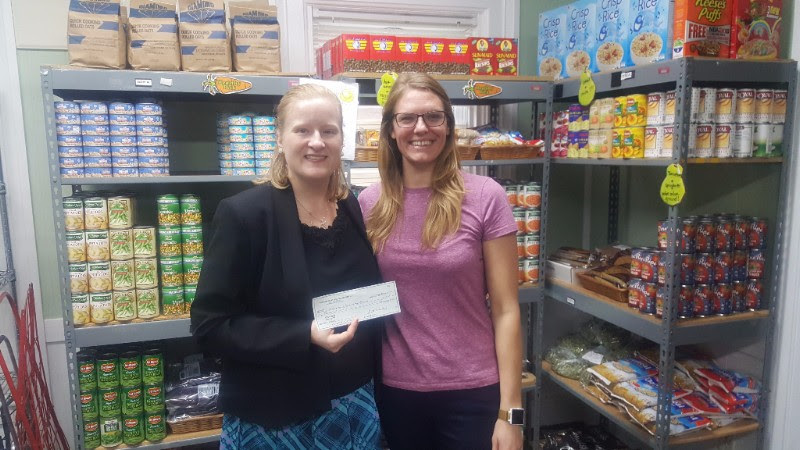 The awarded grant will help SOS’s food program continue to fight food insecurity in Washtenaw County. Pictured below is Barbara Cecil, Development Associate and Ava Ohlgren, Food Program Manager. Food Pantry hours are Tuesdays 1 pm to 6:30 pm and Wednesdays, 9 am to 1 pm. SOS’s website is soscs.org for more information about SOS and the work they do in the community. Volunteers and donations are always welcome. The Student Advocacy Center of Michigan has been working since 1975 to ensure that Michigan’s most vulnerable children and youth stay in school. They are located at 124 S. Pearl Street, Suite 504, Ypsilanti, MI. Picture below is Peri Stone-Palmquist who serves as the Executive Director. The agency provides youth-driven, collaborative advocacy, academic monitoring, intensive support, and conflict resolution with schools on behalf of students. Every year they have a live storytelling fundraiser called ‘Telling Tales Out of School’, that is an amazing event. 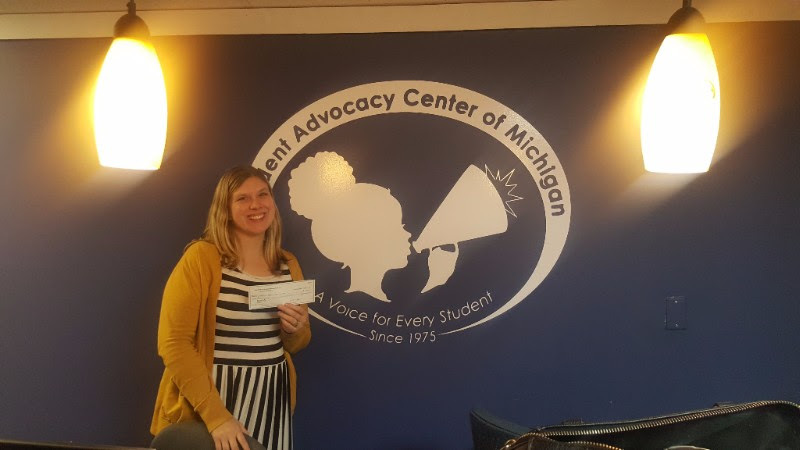 For more information about the Student Advocacy Center of Michigan and how they continue to advocate for students in Washtenaw County, please visit the website at studentadvocacycenter.org. 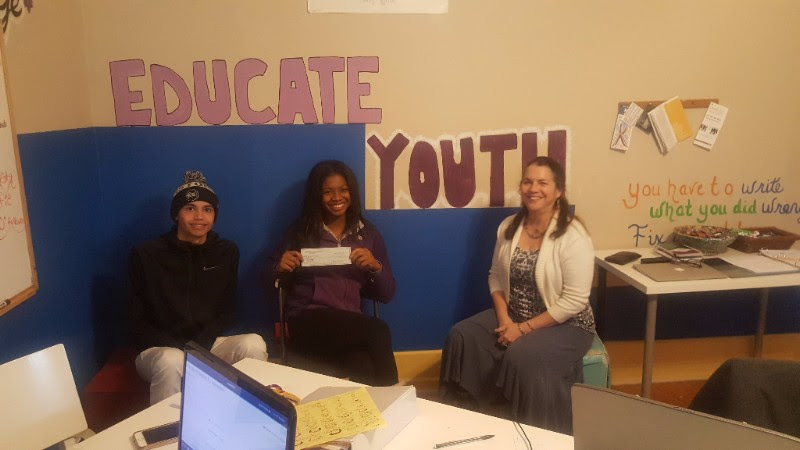 Educate Youth is Washtenaw County’s newest non-profit organization. They have been in existence for about five years. The goal of Educate youth is to increase graduation rates of teens living in Ypsilanti and Ypsilanti Township. Since they have been existence, 100% of attendees have graduated high school. The HOPE program, one of several programs within Educate youth, stands for Having Opportunities for Positive Education. Participants are ages 13-17, and the program provides support for academic performance, personal responsibility, and life skills. Educate youth is located at 101 S. Huron, Ypsilanti, MI. Pictured below are two of Educate Youth’s board members, Justin Carthage who attends Community College and Jayda Thomas who attends Eastern College Alliance, both of which are seniors, Class of 2018 as well as Gail Wolkoff, Executive Director. 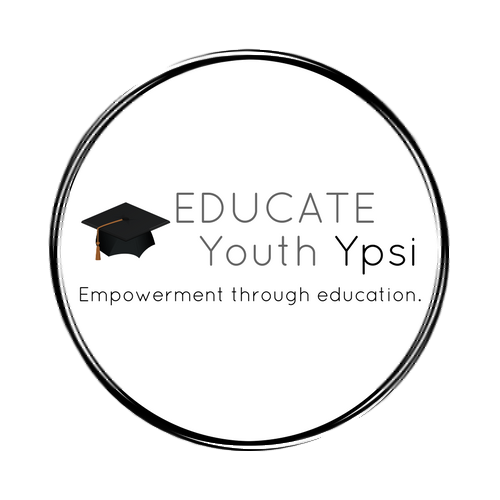 For more information about Educate youth and its various programs that support education, please visit the website at educateyouthypsi.org. The mission of Big Brothers Big Sisters of Washtenaw County is to provide children facing adversity with strong and enduring professional supported 1 to 1 relationships that change their lives for the better, forever.